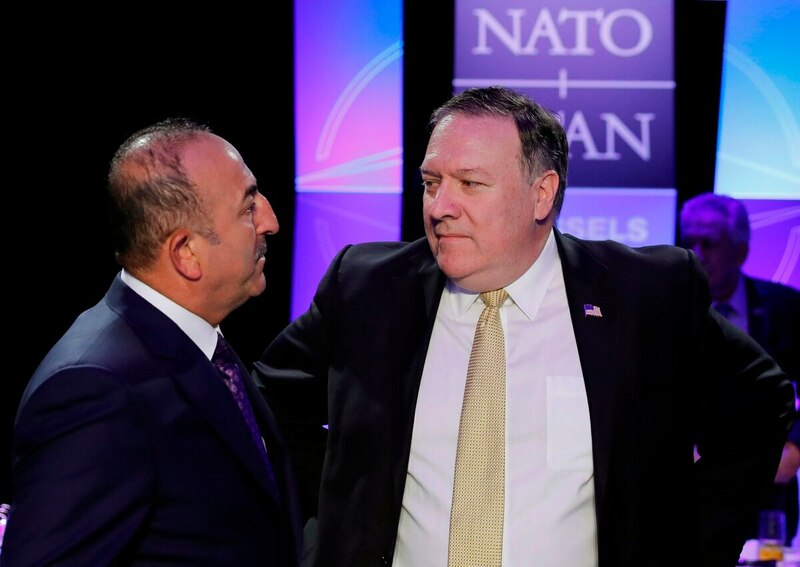 WASHINGTON — U.S. Secretary of State Mike Pompeo told lawmakers Tuesday that if NATO ally Turkey acquires the Russian S-400 air defense system, it will not receive the F-35 fighter jet, and he left the door open for sanctions. The comments came the same day a group of U.S. lawmakers threatened to pass legislation that would bar Turkey from buying the F-35 if it buys the S-400, expressing fears their integration would enable Russia to learn how the stealthy F-35 operates. Also at the hearing on the State Department budget, defense hawk Sen. Lindsey Graham, R-S.C., rejected the White House’s request for a 23 percent budget cut for the department’s budget. “Ain’t happening,” Graham, who chairs the Senate subcommittee overseeing the State Department, told Pompeo at the start of the hearing. For fiscal 2020, the White House has requested about $40 billion to fund the State Department and its aid wing, the United States Agency for International Development. “A small schoolhouse in a poor region of Afghanistan, Iraq, Syria — you name the location — would do more damage to radical Islam than a bomb,” Graham said. “Developmental aid has proved to be a wise national security investment." The sub-panel’s vice chairman, Sen. Patrick Leahy, D-Vt., said he saw no explanation for the cuts, which would hurt the administration’s own priorities. “The president uses slogans like ‘America First,’ but the budget says the opposite,” Leahy said.